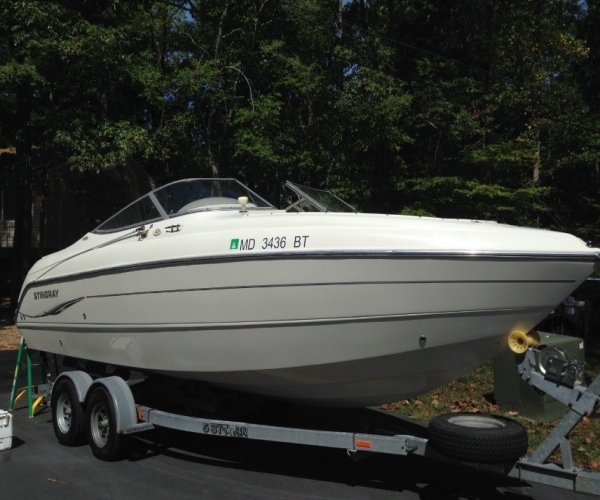 2005 5 Starr trailer, balanced and set up to haul this boat. includes new serge breaks and Calipers (disc), new tires, LED lights and a mounter spare tire. This 2004 Stingray 240LR has been meticulously cared for. it has been lift keft during the use season and professionally winterized annually. It is equiped with many new parts to provide peace of mind. 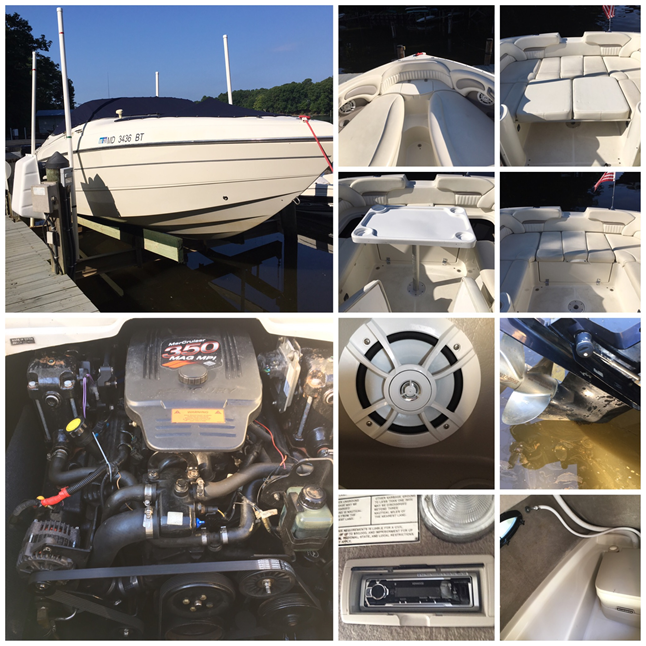 New Parts: 2 batteries/ switch, Raw water pump and impeller, Thermostat, Alternator, Starter (2016), Starter Solenoid, 90 amp main breaker, Risers and manifolds (2016), Serpentine belt, Bluetooth Steroe and speakers, restitched canvas, quick flush connect system, exhaust flapper valves.